Although acupuncture has been a widely used form of treatment in the Far East for centuries, it has only gained popularity in the United States and other countries in recent decades. Although many still hold doubt that this alternative form of medicine actually yields results, numerous scientific studies have indeed proven that acupuncture serves to successfully treat and alleviate the symptoms of a wide variety of conditions and maladies. Today, everything from chronic pain to anxiety and stress to symptoms resulting from chemotherapy is treated through acupuncture, and mainstream health advocates believe that as the practice becomes more mainstream, many more people will turn to acupuncture over pharmaceuticals and their many side effects. 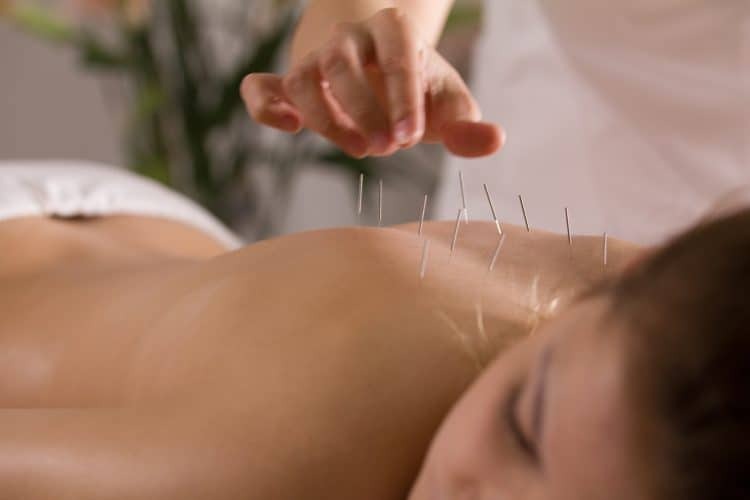 Subsequently, the call for qualified acupuncturists is on the rise, especially as society continues to grow more health-conscious and wary of expensive pharmaceutical solutions. In fact, many health insurance companies now offer coverage for acupuncture, and many government, military and private organizations provide acupuncture treatment for personnel and their families. Today, qualified acupuncturists can find ample career opportunities. If you don’t have the means to open your own practice, you can find job opportunities at health and wellness centers, clinics, spas and even on cruise ships. It is predicted that career openings for licensed acupuncturists will continue to grow over the next few years, so if you are interested, now would be an excellent time to attend an accredited school and seek a program in acupuncture. Armed with a strong knowledge of anatomy and how to treat pain in all areas, as well as knowledge of how to apply orthopedic, musculoskeletal and neurological examinations, you’ll provide care and treatment to patients with a wide range of conditions. Additionally, you should expect to also provide counseling to patients and offer lifestyle advice for a healthier future if necessary. You’ll also likely be required to write and review medical reports, and will often interact with other medical professionals depending on where you practice. The location and nature of your practice will also determine the course of your day — an acupuncturist in a clinic will serve a far different clientele than those seeking services on a cruise ship. Experienced acupuncturists can potentially earn an average of approximately $75,000 per year. Depending on where you practice, an acupuncturist’s salary can range from $40,000 to $140,000. What Is Required to Begin a Career in Acupuncture? If you wish to seek a career in acupuncture, you must first attend a training program at an accredited school, where you will receive a Master’s Degree in Acupuncture upon graduating. You can expect to take approximately 150 to 160 tuition hours of classes, typically over a period of three or four years. After graduation, you will need to take the National Certification Commission for Acupuncture and Oriental Medicine (NCCAOM) exam. Additionally, different states have different licensing requirements, so you will also need to learn about the requirements in the state you plan to practice in. In addition to the skills and knowledge acquired during your training, it also helps to possess several skills and qualities to excel in the field of acupuncture. For starters, being a good listener and communicator is essential. Patients will be coming to you seeking comfort and advice, and you are likely to be administering treatment to patients from a variety of backgrounds. Being able to effectively communicate with your patients, put their worries and concerns at ease, and explain the various treatments and concepts of acupuncture to those who are new to the practice is critical to your success. Being compassionate and understanding is also important. Many patients may be visibly angry or upset with their health or physical condition. Showing compassion for their plight and providing care in a friendly manner will help comfort them. It is also an especially important trait to have when administering treatment to patients who are fearful of needles! Being committed to your field also means learning more about it all the time. Your training doesn’t end when you get your degree — continuing to learn more about various health issues, different diseases and other new treatments being administered can only serve to make you better in your own field. Keeping abreast of new techniques and showing your commitment to patient care will be one of the primary factors of your success. A career in acupuncture might not only be quite lucrative, but also very rewarding and enjoyable. In today’s society where many individuals are dissatisfied with the current health care system and not very enamored of traditional medical care in general, an acupuncturist can be a welcome relief, especially when the treatment you provide shows positive results. AIAM’s Acupuncture Program is a well-respected graduate-level program, and one of only a handful of programs available in the Midwest that provides students with the skills, knowledge and experience to succeed.